Ans: Performance Testing is a type of non-functional testing. Here, we test the system for the response time, throughput and stability by using tools such as HP LoadRunner, JMeter etc. for the fixed number of virtual users. Q2. Mention different types of performance testing? Load Testing: This type of testing test the system for the normal expected load. Stress Testing: This type of testing test the system for a large load or peak load. It helps in understanding the behavior of the system under an extreme workload. Endurance Testing: It is also called the stability test. This type of testing test the system for the large duration of time. Large duration range from some hours to many days. Spike Testing: This type of testing tests the system for the sudden increase in load. Volume Testing: This test populated so much data in the database. The main purpose is to see the behavior of the system under varying database volumes. Scalability Testing: This test helps to find the feasibility of scale up the capability of the system and tells which load needs the addition of hardware in the system. Q3. What is the difference between Load testing and Stress testing? 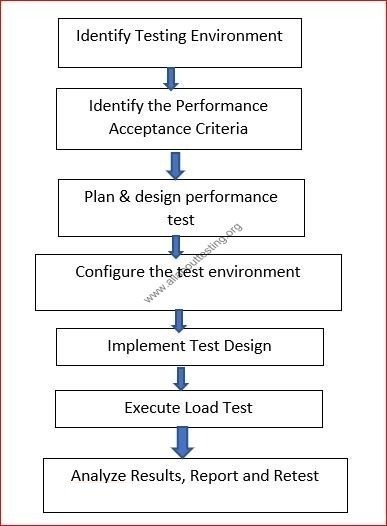 Ans: Both Load Test and Stress Test are types of performance testing. First, test the system for the normal expected load while later test the system for large load or peak load. It helps in understanding the behavior of the system under an extreme workload. Q4. What is the Load testing process? Q5. Explain what is Endurance Testing and Spike Testing? Ans: As we discussed earlier, Endurance Testing test the stability of the system while Spike Testing test how the system deals with a sudden hike in load. Q6. List out some of the performance testing tools? Q7. How you identify Performance test use cases of an application? Q8. List out some of the parameters considered for performance testing? 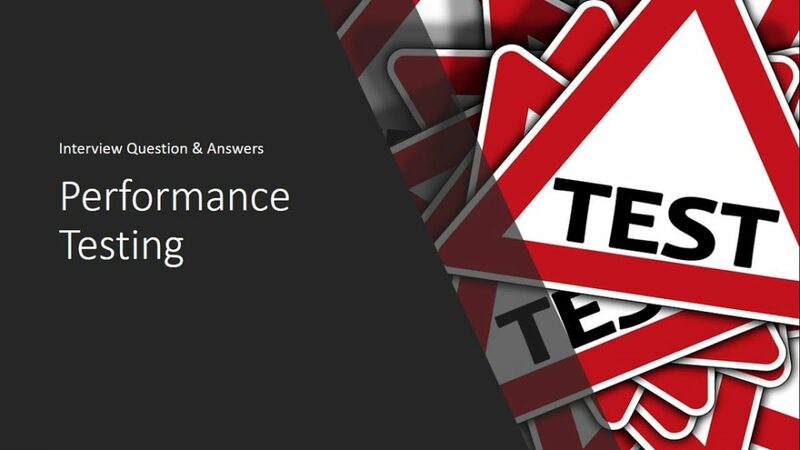 Ans: Although there are many parameters for performance testing important parameters are response time, throughput, memory usage, CPU usage and hits per second. Q9. Explain what are the common mistakes done in Performance Testing? Q10. Mention what is the difference between the benchmark testing and baseline testing? Ans: Benchmark testing is a type of test when you test the system against one standard or established performance of product while Baseline testing creates a base for any measurement, comparisons or calculations of results of the performance test.